This Place of Worship was founded in 1873, and we understand it is still open. 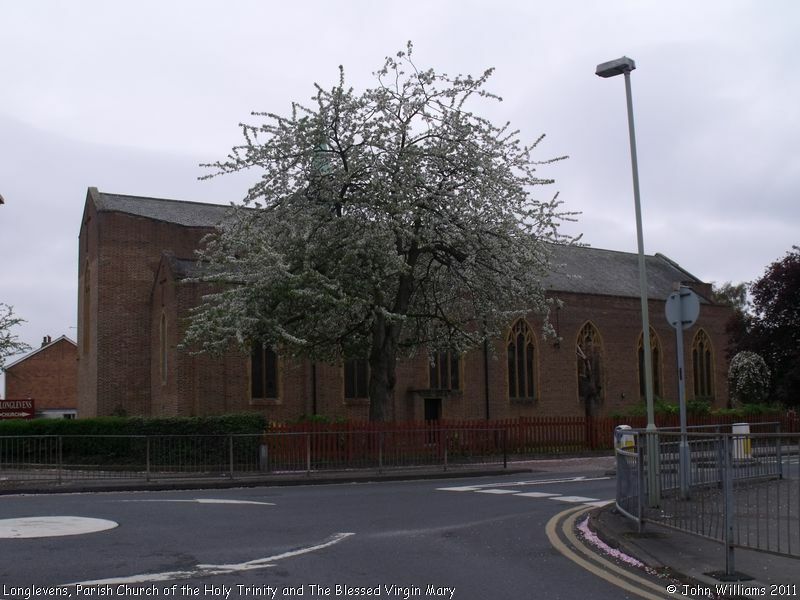 Holy Trinity's origins may be traced back to a mission of St Lawrence's church in Barnwood, which opened in 1873. The mission was supported by James Witcombe of Wellsprings, and in 1898, he built the first church. 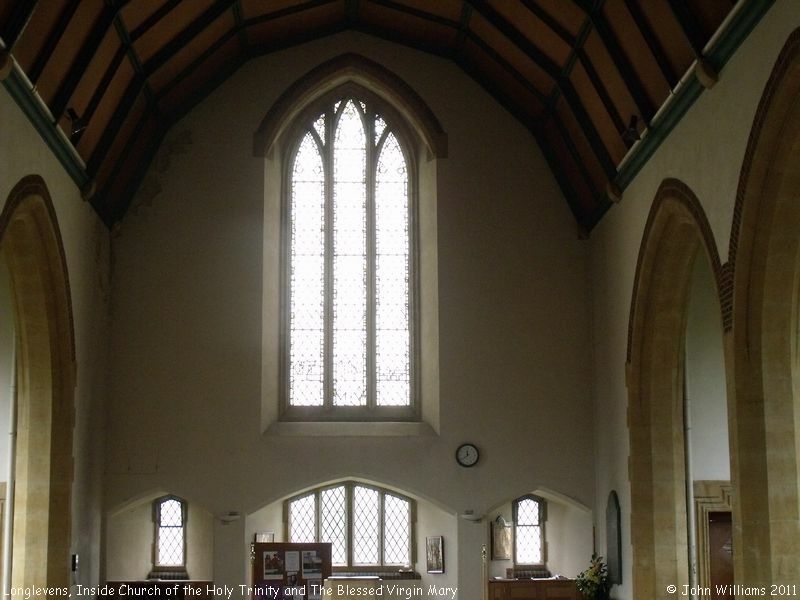 This was a corrugated iron structure, with a single plane tree outside, which "did not look very elegant, but we thought that it was the prettiest little church in England on the inside, particularly at Harvest Festival time. Every year Miss HERRON wheeled her gigantic pumpkins and marrows etc in her wheelbarrow to the church, and contributions from everyone was a wonder to behold". Planning for a more permanent structure began in 1932, and building began the following year. 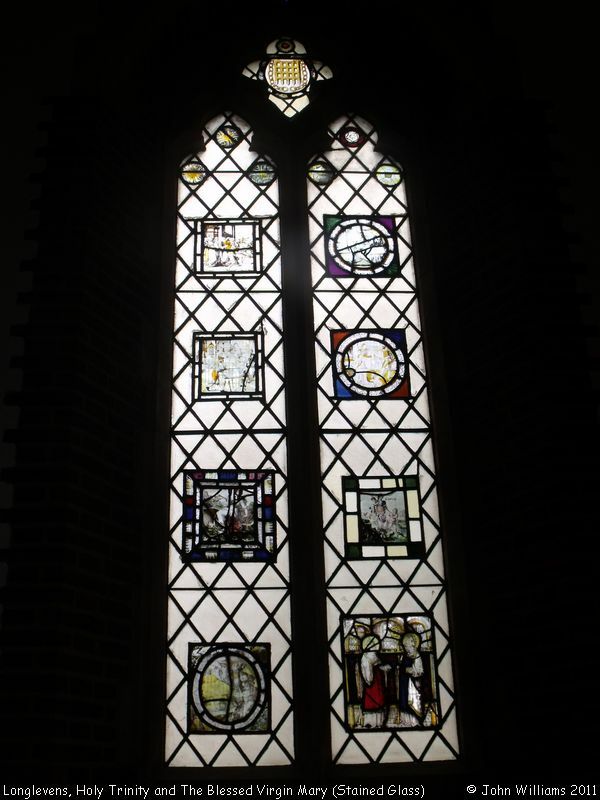 The new church, "designed by Harold Stratton-Davis in a 15th-century style" was consecrated on 31st March 1934. It was built on the former site of Anderson's Garage. The garage had been moved to a more strategic position when a new stretch of the Cheltenham road was built - "the garage was placed on rollers and pushed and pulled up the Old Cheltenham road to a position behind the present BP garage". That should have been a sight worth seeing... unless of course it was a frequent occurrence for buildings to go "walkabout" at the time! 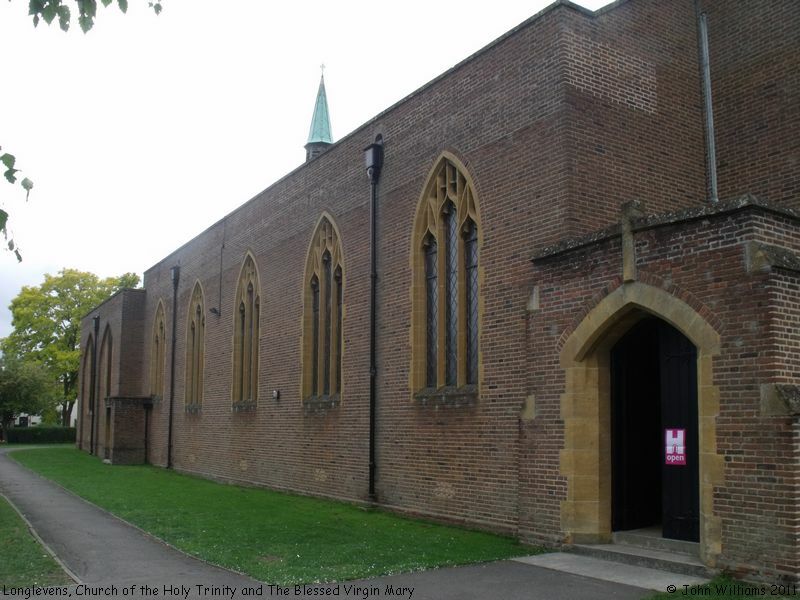 Separate registers of Holy Trinity in the Gloucester Archives begin in 1898, when the first church was erected. 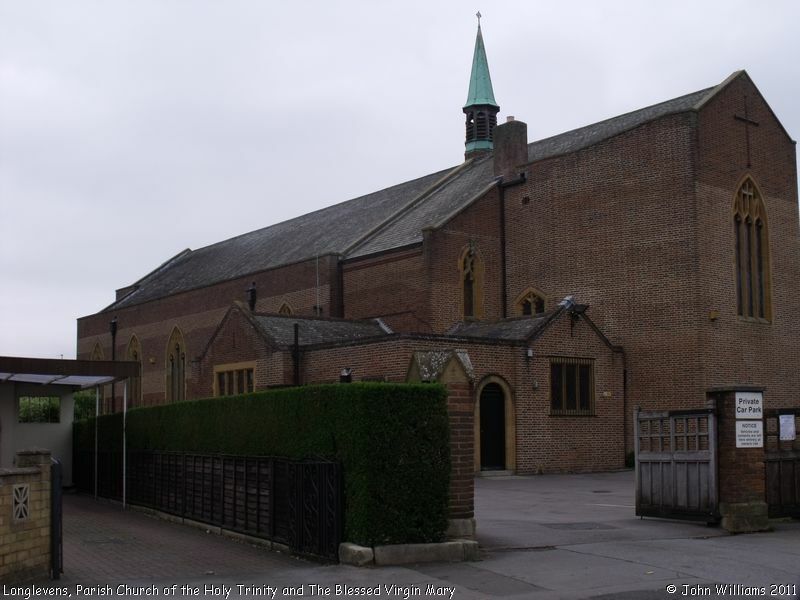 The iron church remained in use for a time after the new one was built, as a church hall, but it was subsequently demolished, and a modern surgery now occupies its site. 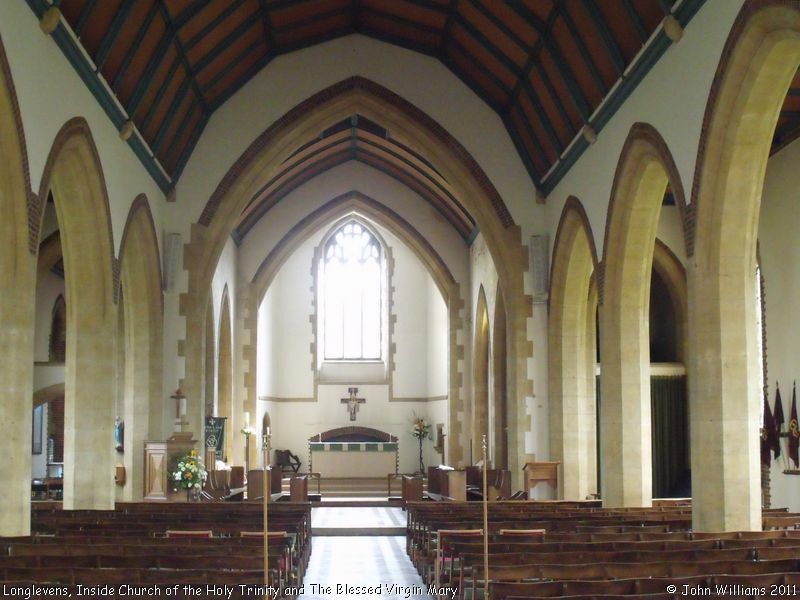 The civil parish of Wotton St Mary Without was created in 1932, from parts of Barnwood, Churchdown, Down Hatherley and various city parishes, and is centred on Longlevens. Longlevens is a ward within Gloucester, so does not exist as a parish in its own right. 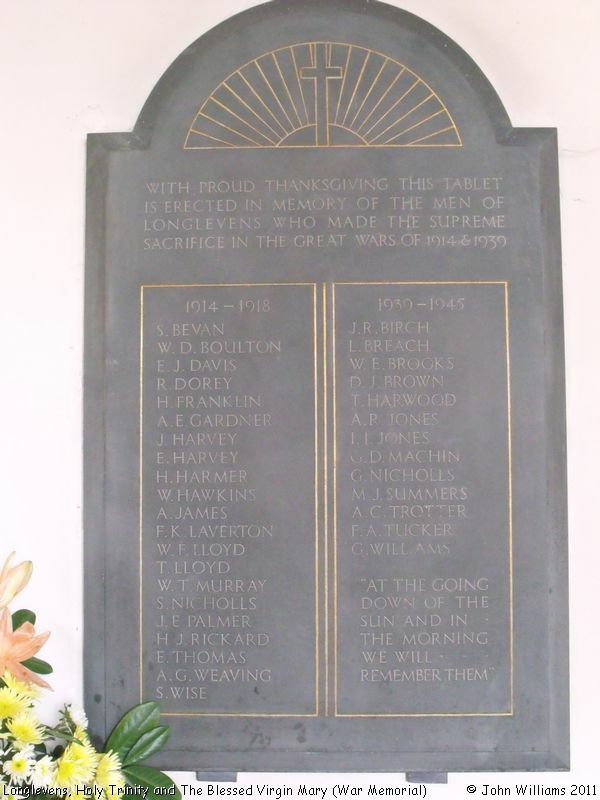 Our photographs include the church's WWI Memorial, when Holy Trinity was still a daughter church of St Lawrence, Barnwood in the parish of Barnwood. 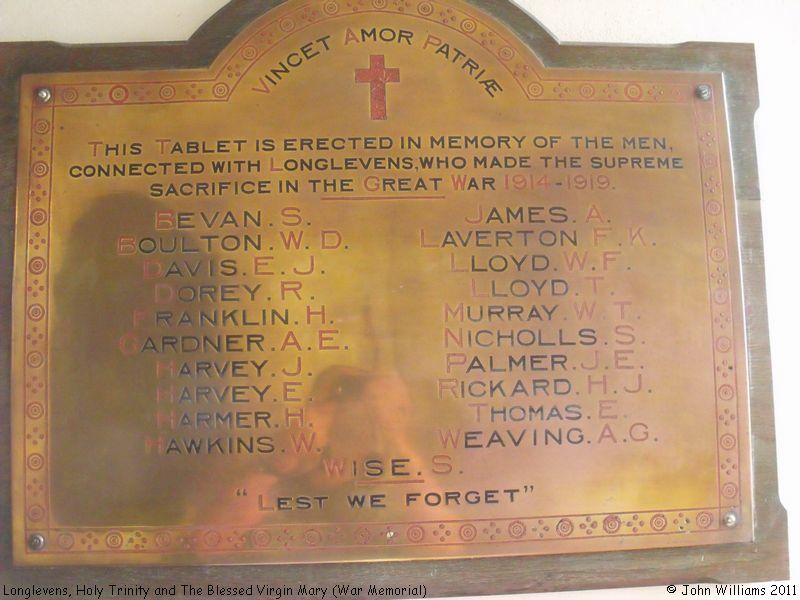 Some of the names also appear on Barnwood's War Memorial, as men of the parish, not just as men of the church. The names are also reproduced on the joint WWI and WWII Memorial, also photographed. 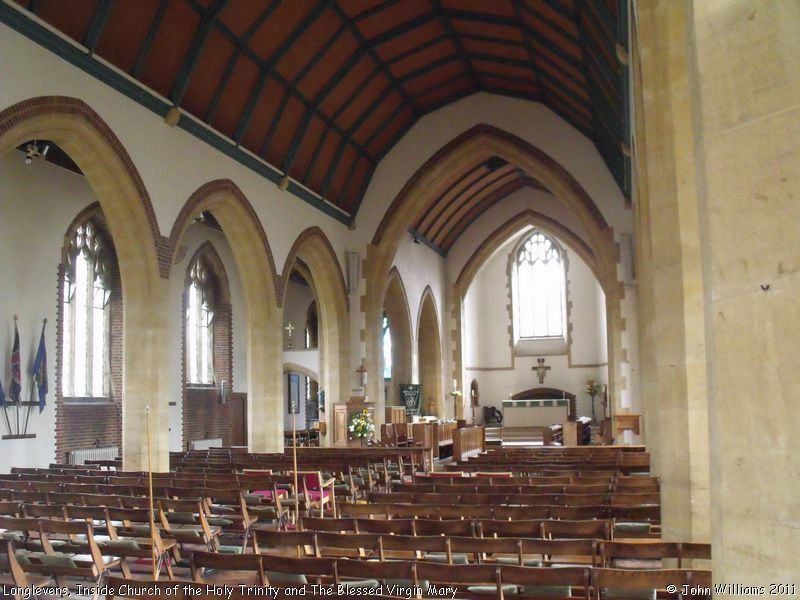 Parish Church of the Holy Trinity and the Blessed Virgin Mary, Longlevens, Gloucester shown on a Google Map. Information last updated on 10 Nov 2018 at 10:12. 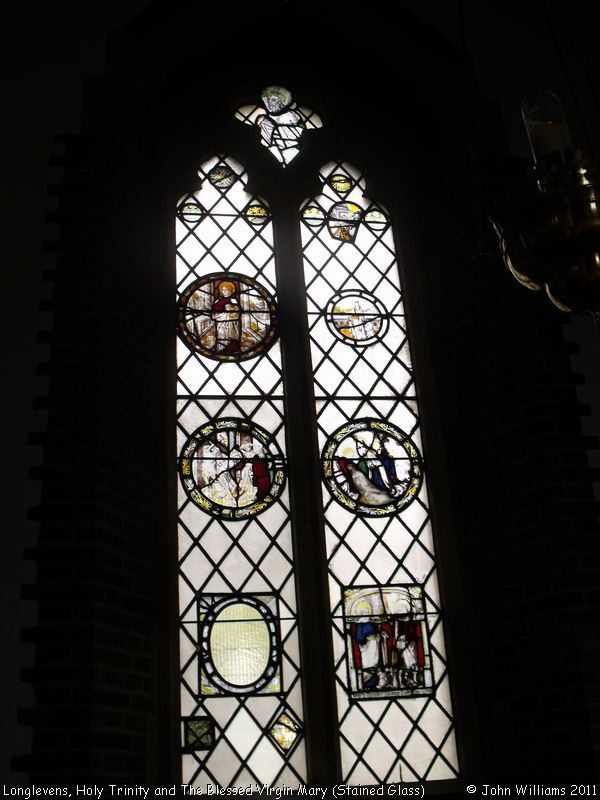 Please also remember that whilst the above account may suggest that Parish Church of the Holy Trinity and the Blessed Virgin Mary remains open and accessible, this may not remain so. This Report was created 7 Apr 2019 - 20:21:01 BST from information held in the Gloucestershire section of the Places of Worship Database. This was last updated on 7 Feb 2019 at 07:45.